TOPs are amazing and definitely boost the amount if iterations I can create overnight. Hope you will help me to fill some blanks. 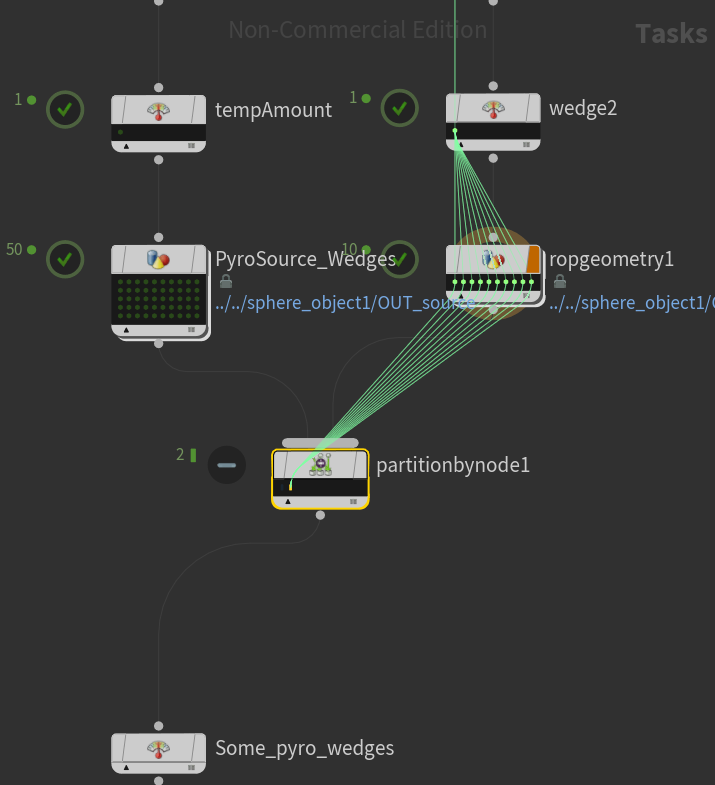 I would like to Wedge pyro source with different noises and amounts of Fuel and temperature (9 different `@wedgeindex` 1-50 frame range) and feed those sources into the wedged pyro sim. Please see the basic setup example is in the attachment. Thank you for the speedy reply. 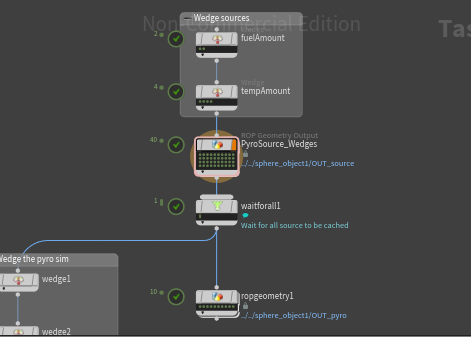 I'm not sure how to feed Wedged volume source into a Pyro sim. do you have a hip for me? I think your doubt is how would the pyro load difference sources. You might be able to do that directly in tops with some clever usage of switchs, maybe some python. But I figure the default workflow is to cache your sources and use a File SOP do read them back. After that it's just another normal wedge. See file. Hmm so simple, i tried similar setup but with file cash, but something went wrong. One more blank filed when comes to TOPs, big thanx to you.